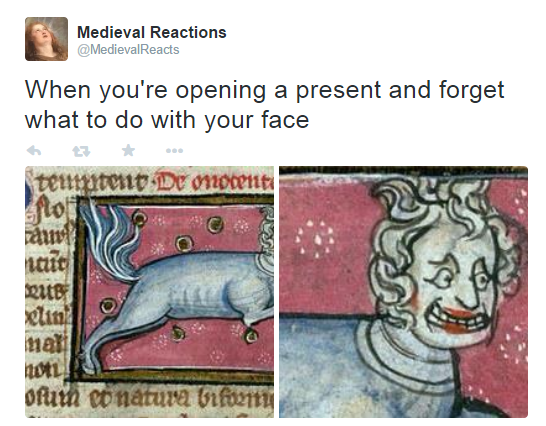 If you’ve seen your friends posting pictures of Medieval artwork lately, the Medieval Reactions Twitter account is more than likely why. 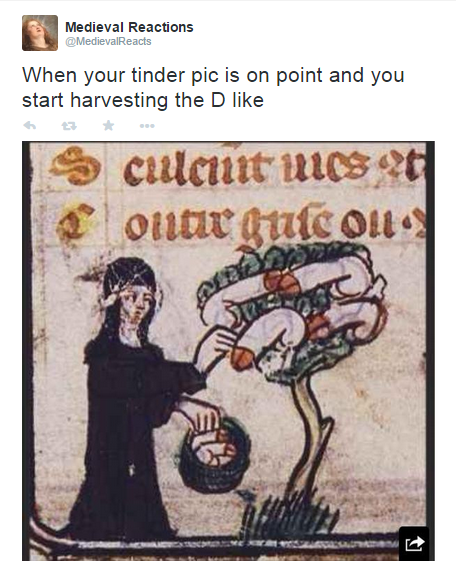 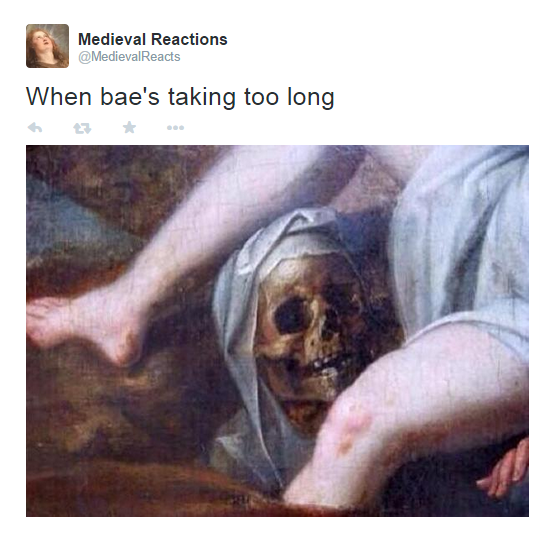 Run by 19-year old Cathal Berragan, @MedievalReacts is an irresistible combination of millennial phrasing (“When bae is looking fine…”) and classical Medieval illustrations. 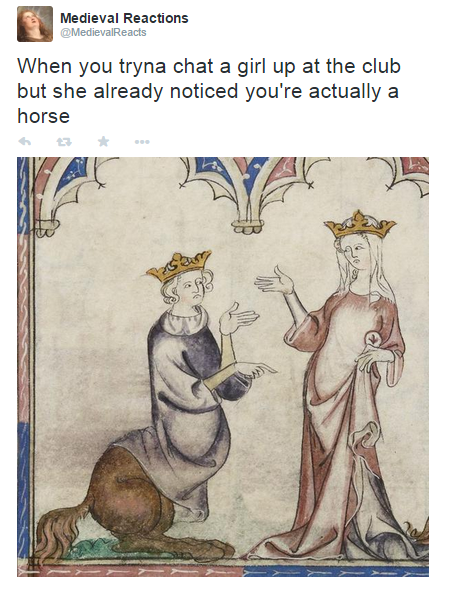 It’s incongruous, it’s hilarious, and it’s the first time we’ve done a proper out-loud belly-laugh at a painting of a horse. 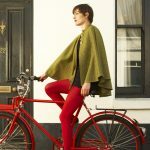 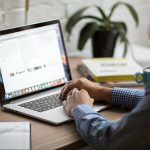 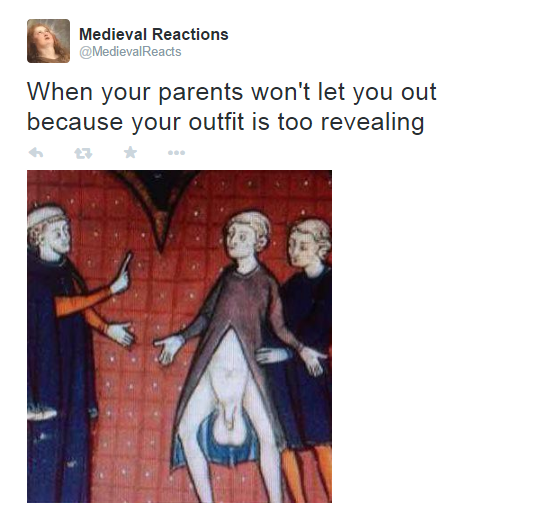 A few of them are a bit NSFW – but you’ll probably get away with it. 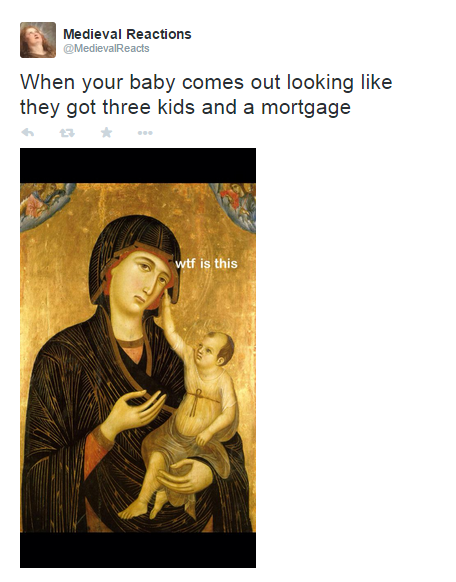 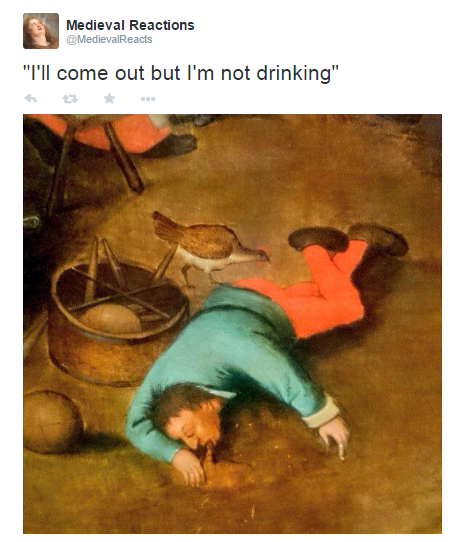 Because it’s classical art, right? 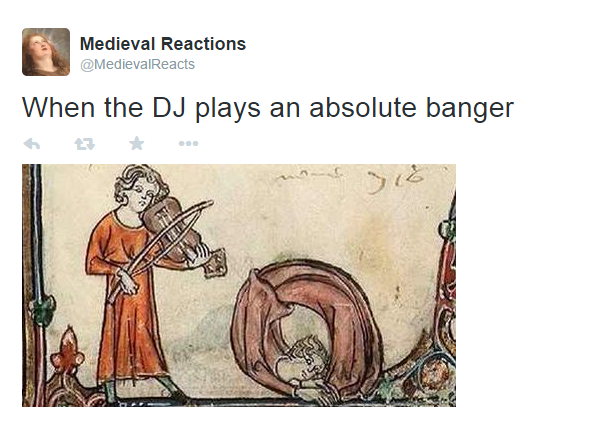 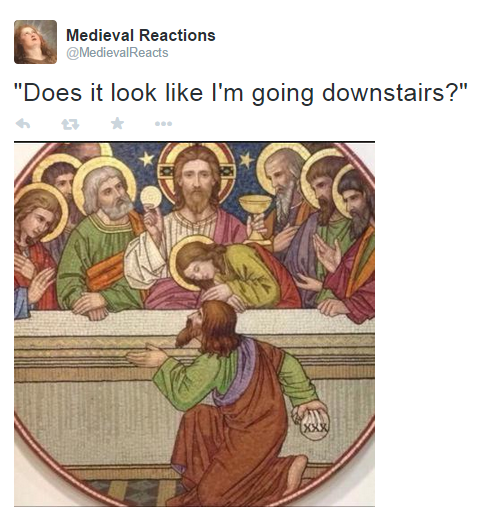 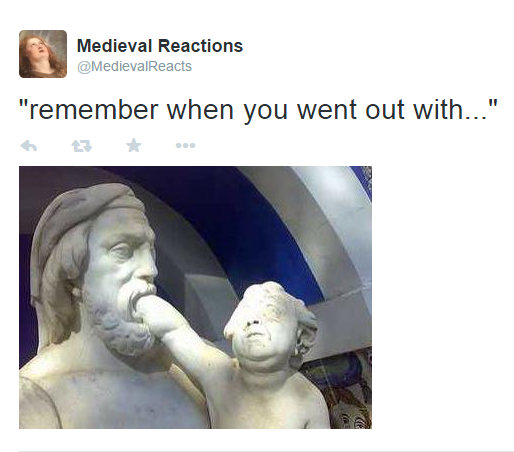 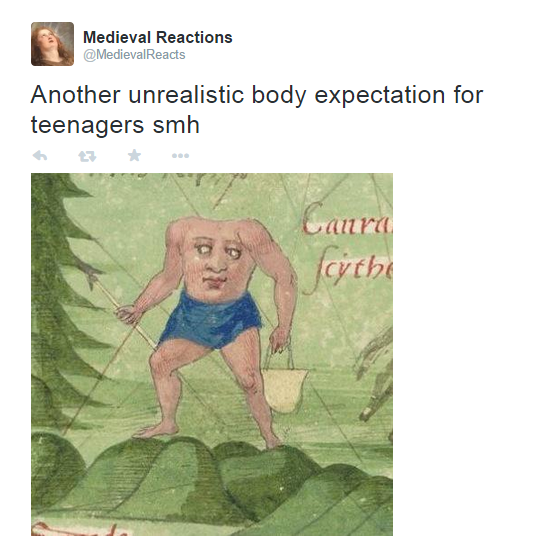 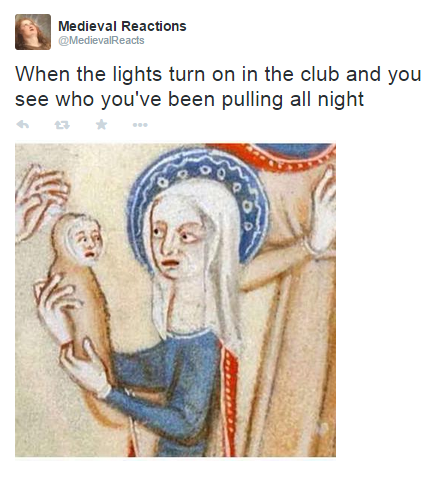 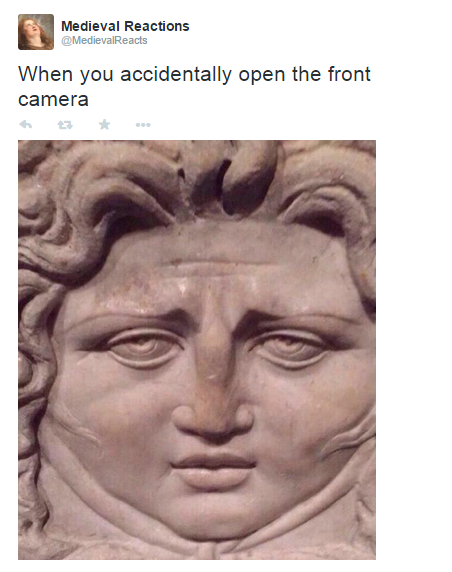 If you love Medieval Reactions as much as we do, you can follow them on Twitter here.